You searched for Discrimination. Did you mean Discrimination in Employment Law -- Employee, Employment Law -- Employer? 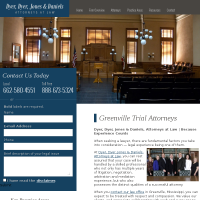 Need an attorney in Tie Plant, Mississippi? Use the contact form on the profiles to connect with a Tie Plant, Mississippi attorney for legal advice.